ROOMS: Each of the 36 suites are free-standing structures situated on a horse-shoe formation with the opening looking over the rice paddies and tobacco fields tended by the local villagers. 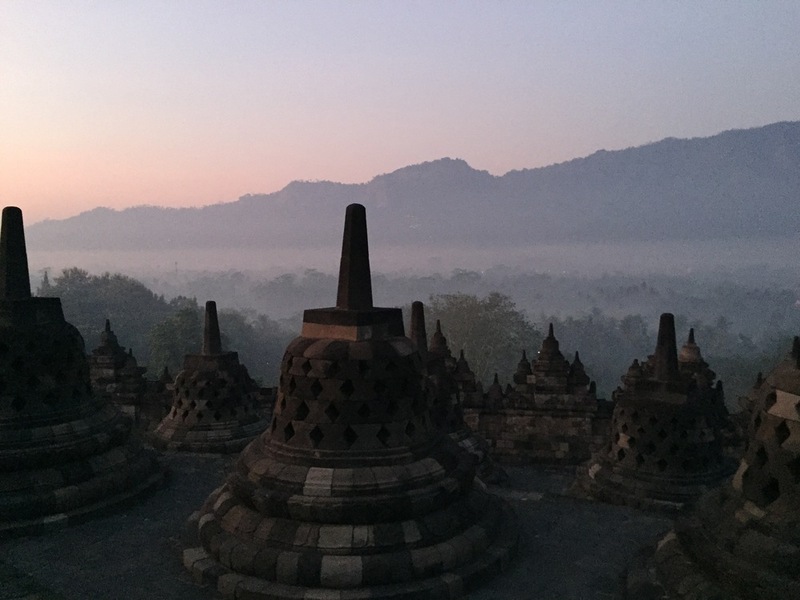 Amanjiwo truly does live in the shadow of the largest Buddhist temple in the world, the 9th century Borobudur (the reason why most guests are at Amanjiwo!) is so close you can see it from the hotel’s entrance. With only two Pool Suite categories (Garden and Borobudur view), the coveted suites are the Borobudur view; if you don’t want to splurge for the pool suite, make sure you grab the Borobudur view suite. POOL/GYM: A true Aman pool: beautiful, quiet, with stunning views all around. SPA: A small spa suite is available at the edge of the resort, not really a true “spa.” But, you really wouldn’t care once you start your treatments. We highly recommend the 90-minute therapeutic traditional Pijat massage. 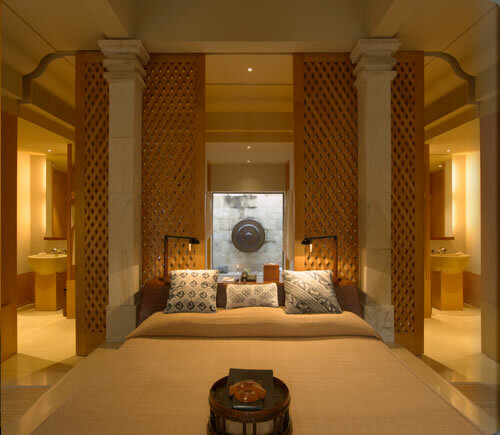 The spa offers a range of Javanese and traditional beauty treatments, some of which incorporate the ancient holistic jamu method of healing. RESTAURANT: The main restaurant is located after the lobby where breakfast, lunch, and dinner are served daily. Traditional Indonesian cuisine and Western fares are available. 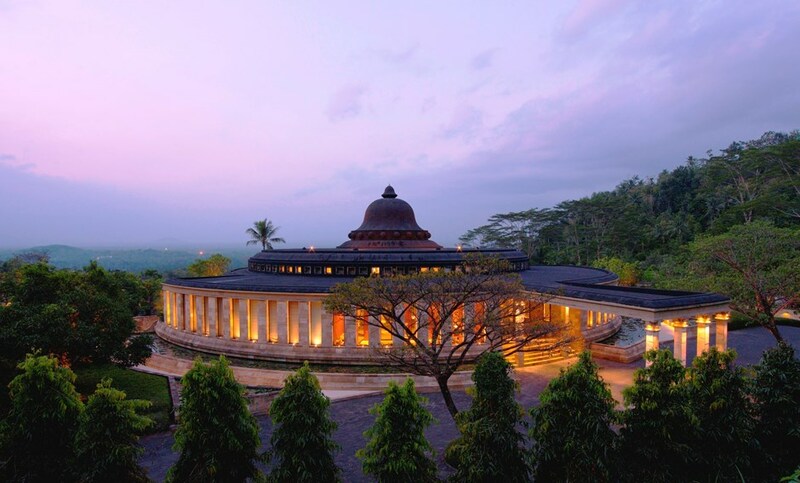 VIBE: tranquil, peaceful, the perfect place to immerse yourself in the Javanese culture. KIDS: Yes, bring the kids – there are plenty of fun activities for them. WIFI: Available complimentary throughout the resort. Not so great in the rooms, but stronger and more reliable in the main public areas. LOCATION: 15 minutes from Borobudur and about an hour drive from Jogjakarta. Amanjiwo is the perfect base to discover Central Java. The resort is located within a natural amphitheatre, with the limestone Menoreh Hills rising gently behind, the Kedu Plain in front and four volcanoes (Sumbing and Sundoro to the west, Merbabu and Merapi to the east) on the horizon. 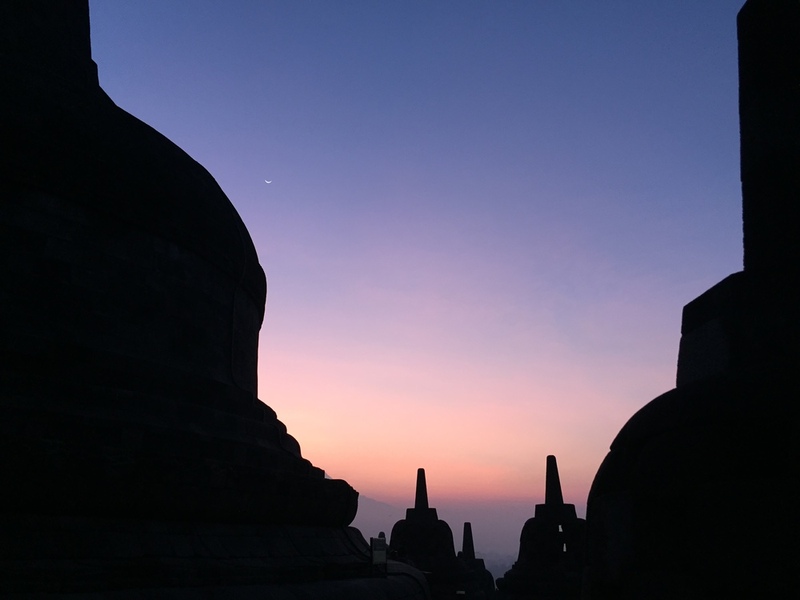 EXPERIENCES: Don’t miss the sunrise at Borobudur, you’ll have to wake up at 4AM but it will all be worth it once you see the sun rise over Mt. Merapi, one of the biggest active volcanoes on the island of Java. Follow this with a picnic breakfast on the banks of the Progo River, with a peaceful view of where the Elo river and the Progo river meet. Amongst Amanjiwo’s curated experiences, one of the most unforgettable one was a dinner experience at the home of a local palm sugar maker named, Pak Bilal (Mr. Bilal). We won’t ruin the surprise, but trust us; this is one experience you don’t want to miss. The island of Java offers a different kind of magic than the one visitors would find on its more popular sister to the east, and Amanjiwo (Peaceful Soul), aptly named is in the center of the most important island in the world's largest archipelago. 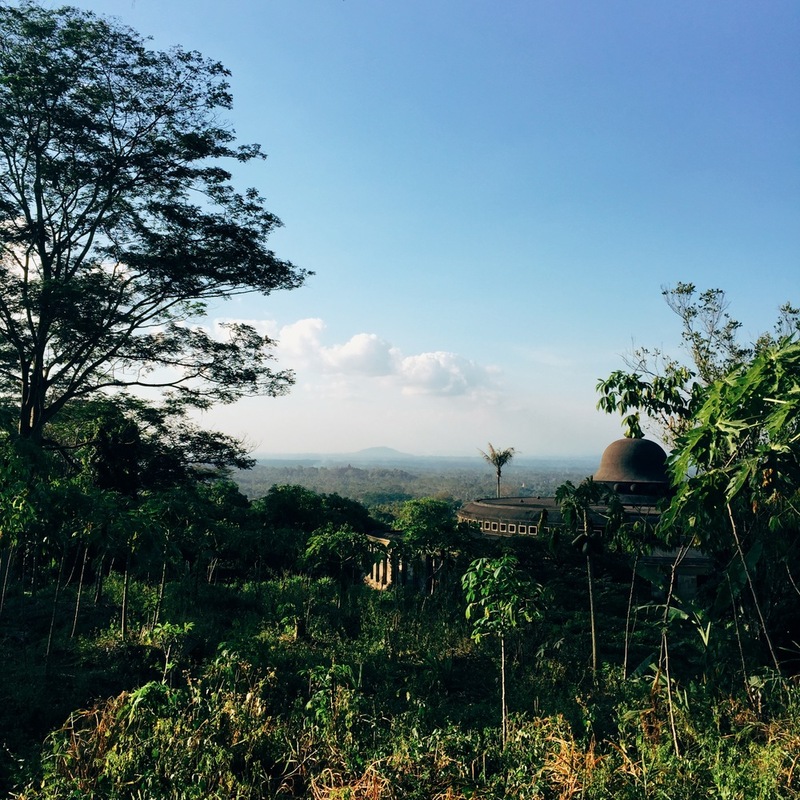 This part of Indonesia is filled with centuries-old temples, an authentic sense of place that’s wonderfully non-westernized, and a robust history of the rise and fall of kings, gods, and powerful empires.